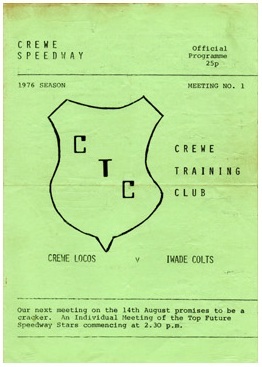 Records show that speedway racing took place in the Crewe area of Cheshire as early as 1929. At this time Open racing took place and it is known a meeting was held on 22nd August 1930. There was then a long period when little recorded racing took place. However, the British Rail Sports ground witnessed racing again in the late 1960's. 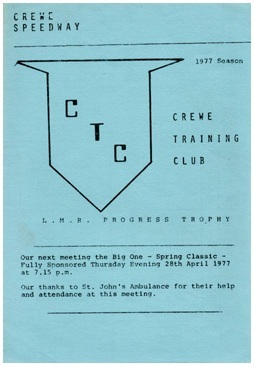 From 1969 to79 the team took part in British and National League fixtures. The team did have their successes becoming League Champions in 1972 and achieving the Double by winning the Knockout Cup in the same year. At various times in their history the team were known as the Locos and the Kings.